A’ bunadh - Award winning photographer, David Maitland, has developed a series of intriguing photographs providing a glimpse of the enigma of Aberlour whisky through its components and craft. 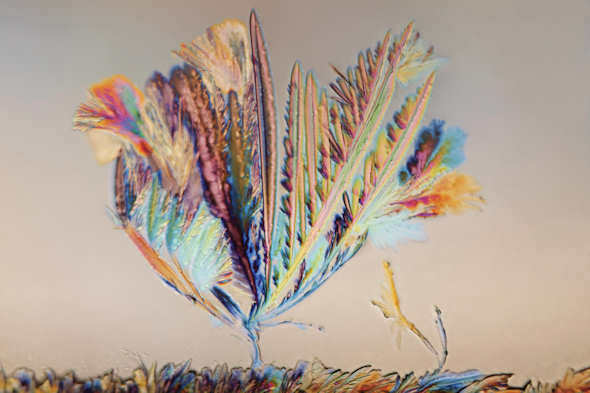 At 200x magnification this photograph of Aberlour’s hand-crafted A’bunadh shows crystals bursting with sweet flavour originating from the specially selected ex-sherry casks. Like each batch of A’bunadh, this image is unique, as this was captured just as the crystal began to grow.